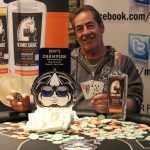 Carl Carodenuto made history this past weekend when he won an unprecedented third Mid-States Poker Tour title. The Minnesotan took down the latest Main Event at Golden Gates Casino in Black Hawk, Colorado for $114,072. Meanwhile, “Money” Mike Maruna won the MSPT Golden Gates $360 Regional the weekend before for $50,997. 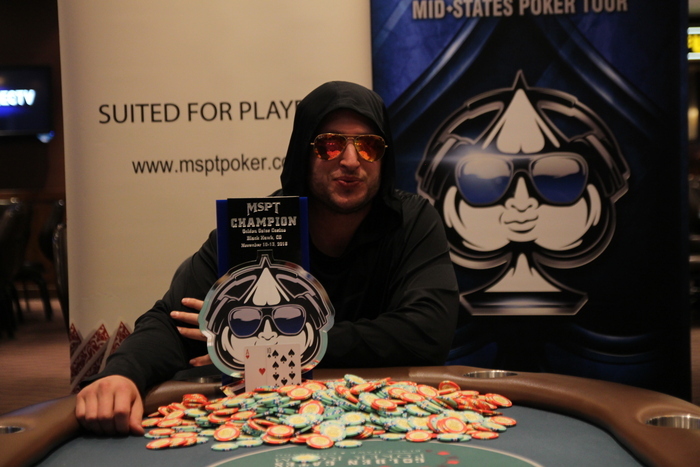 Carl Carodenuto has now won a record three Mid-States Poker Tour titles in 11 months (Image: MSPT). 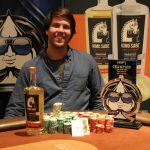 Back in December, Carodenuto topped a field of 470 entries to win the MSPT Canterbury Park for $116,103. 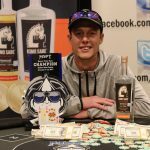 Five months later, he successfully defended his title in a field of 376 entries to win $90,805. 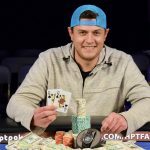 After finishing sixth in the MSPT Meskwaki Main Event less than two weeks ago, Carodenuto then won his third title by topping a field of 490 entries in the MSPT Golden Gates. Unbelievably, Alsup finished runner-up to his friend, which puts them in the top two spots on the MSPT POY leaderboard with two stops left in the season. Carodenuto’s record third title came in an 11-month period, and it vaulted him to second on the tour’s all-time money list. The MSPT’s ninth and final Regional Event of Season 7 preceded the Main Event at Golden Gates Casino. The $360 buy-in tournament attracted 838 entries and surpassed April’s field by three players, making it the largest MSPT event ever held at the property. 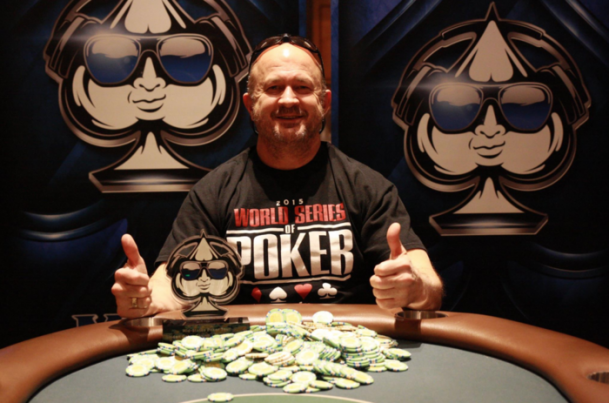 After four days of intense play, Mike Maruna captured the title and a $50,997 first-place prize after striking a heads-up deal with Tom Bouziden. It was a little redemption for Maruna, who made the final table of the April event, ultimately finishing in eighth place for $10,910. The latest MSPT Golden Gates Regional, the fourth held at the venue, was the 13th Regional Event since their inception at the beginning of 2015. The Regional Events were designed to offer players the opportunity to play MSPT’s lauded “Chainsaw-Approved” $1,100 Main Event structure at an affordable price. The MSPT continues this weekend with another $1,100 Main Event at Potawatomi Hotel & Casino in downtown Milwaukee, Wisconsin. To learn more about that event, which features a $200,000 guarantee, click here. Editor’s Note: CardsChat and MSPT share a cross-promotional alliance. Chad Holloway is the MSPT Media Director.